The very recent phenomenon has been the growth in so-called “bonds”. These come in various types and, initially, seem very plausible. Indeed, legitimate bond funds have been in existence for many years. Essentially a bond is evidence of a loan made by one party to another. Many large corporate issue bonds which are traded on various markets. The investor gets a rate of interest and their capital will be returned at the end of the loan term. However, unlike shares, bondholders do not share in any increase in the capital value of the issuer. Commonly, bonds are not “secured”. Therefore, if the issuing company becomes insolvent the investor loses their capital. The underlying investment can often be in the renewable energy sector, the property sector or finance. For instance, we have seen bonds that were said to be raising funds to invest in solar panels, invoice discounting and property. In reality, they were little more than financial scams. Such “bonds” will often have a number of characteristics which mark them out as suspicious. The use of a “security trustee” is one mechanism which is used to give comfort to investors but, in reality, has little substance. The use of firms regulated by the Financial Conduct Authority in some capacity is also used to provide comfort to investors. Solicitors, accountants and trust companies can also be used. Often these legitimate businesses will not be aware of the true nature of the investment. Recovering monies from these kinds of schemes can be difficult and complex. We have worked on a number of unregulated investment schemes and recovered many millions of pounds for our clients. If you have invested in this type of scheme we may be able to help you. 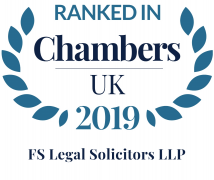 Please contact us on 01384 889900 or email paul.crutchley@fsl.legal, to arrange a free, no obligation review of your case.